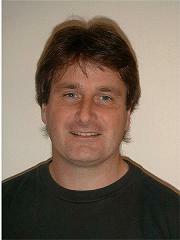 Dr Peter Huf (director bach2roq) has worked as a scientist and musician since 1978. He has tertiary qualifications in Arts and Sciences with majors in mathematics, history and philosophy of science, chemistry, biochemistry and computing, a PhD in biochemistry and Diploma in Electronics. He has worked as lecturer at Deakin University in various sciences, and undertaken postdoctoral research in biochemistry, physiology and neurology, authoring about 30 publications and abstracts. He has studied classical guitar at Melbourne University Conservatorium. His musical qualifications include grade 8 classical guitar and piano (AMEB). He has taught music for 30 years, and since 1987 has recorded 4 albums, including "Classical Twelve String Guitar" vols. 1 -3 and his most recent "Eclectomania". Peter's albums have been occasionally presented on ABC Classic FM radio. He currently works both at Deakin University as a lecturer and freelance as a scientist and musician and is director of the bach2roq group which is involved in innovative methods and software technologies in science education and music. Other staff: About 20 casual part-time and sub-contract staff are available to assist in our programs.